With the approach of springtime, new life is sprouting all around us. This renewal will be celebrated at the San Bernardino County Museum at the Festival of Life in the Cracks Day on Saturday, March 10, from 12 to 4 p.m. A range of creative activities from poetry to planting will be offered to museum guests during the Festival, organized in partnership with Arts Connection—The Arts Council of San Bernardino County, Fallen Fruit, and Inlandia Institute. The event is held in conjunction with the Museum’s current contemporary art exhibit, “Life in the Cracks,” which runs through April 1. Fallen Fruit is an art collaborative that began in Los Angeles in 2004 by making maps of “public fruit” –fruit that grows on or over public property. Originally conceived by David Burns, Matias Viegener and Austin Young, since 2013 David and Austin have continued the collaborative work. Their projects include diverse site-specific artworks that embrace public participation, temporary art installations, and social media focused public participatory actions. Fallen Fruit’s art works encourage the public to experience their city as a fruitful, generous place, inviting people to engage in sharing and collectively explore the meaning of community and collaboration. On Saturday, Fallen Fruit invites museum visitors to help create a living fruit orchard planted by the public for the public by offering free fruit tree adoption. Guests can adopt a tree if they agree to plant it near a sidewalk to share its fruit with the community. Planting and nurturing instructions will be provided. Fallen Fruit also asks, “Orange You Glad I Didn’t Say Banana?” with an opportunity to draw a self-portrait on a hand-picked orange from the museum’s heritage grove. The oranges will together create a group portrait of everyone who joins in the fun. 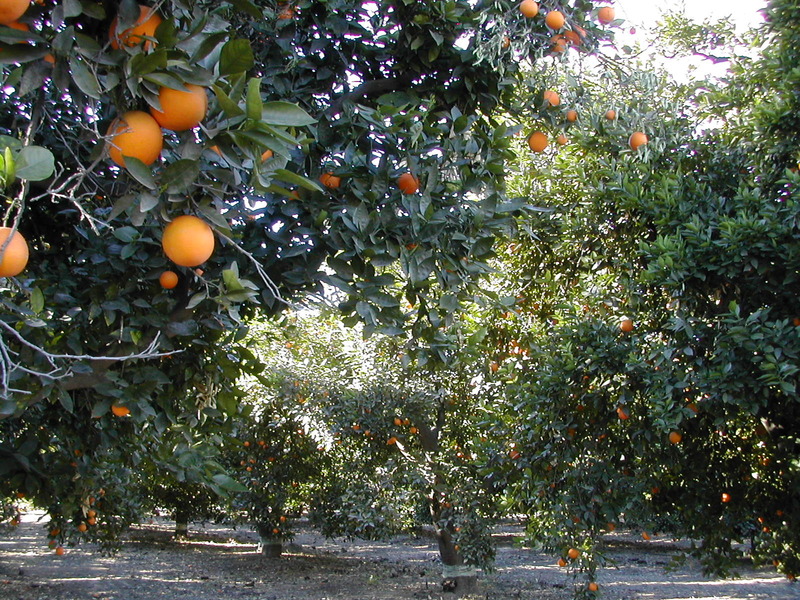 The Fallen Fruit program is underwritten by the California Arts Council. Springtime renewal is a recurring topic for poets, and Inlandia Institute offers a chance for Festival participants to hone their creative writing skills through poetry slams during the afternoon, culminating in poetry readings from 3 to 4 p.m. The Museum’s education division will lead family art activities using orange peels.